TerraWave 6 dBi outdoor multiple-input and multiple-output (MIMO) omnidirectional antenna is designed to operate enterprise class 802.11n and 802.11ac MIMO access points (APs). 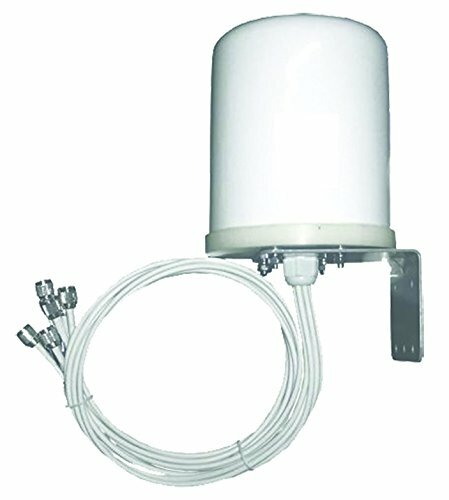 This antenna features three integrated 2.4 GHz Omni antennas and three integrated 5 GHz Omni antennas in one fiberglass enclosure, making it an ideal and aesthetically pleasing antenna to support outdoor applications in 802.11n and the newest 802.11ac wireless communication systems. The ruggedized enclosure makes this antenna perfectly suited for use in a warehouse or manufacturing environment where it must withstand exposure to moisture and dust. Includes an L-Bracket for mast mounting and a convenient beam clamp. Sanqino 65db Cell Phone Signal Booster, Cell Booster for home and office, Enhances 2G/3G/4G Signals, Works With Verizon, AT&T,T-Mobile and U.S. Cellular.